I will be putting it in the tool box drawer to await your return to Homosassa Springs! Speaking of...I believe I dropped my Swiss Army knife in the pen whilst the baby goats were being born. Or, in the covered parking by the Willy’s Overland knockoff. Please look. either in Homosassa or Miami. Sheesh. I’ll check the barn out, but it will be awhile. Well, I knew that, so I am getting new ones that will be decorated with a lot of metallic red fingernail polish. I am in Pensacola presently but will look for the knife when I return and tidy up for Liam’s 10 year old birthday exrtravaganza this weekend! "I drink, therefore yes ma'am..."
asiab3 wrote: darn Tootin'… I once left my ratcheting 10mm wrench on a late bus' distributor timing clamp. A year later I bought the bus just to get the wrench back. Would you, Colin? We’ll paste em all around America. This time we’re going for a “far out” feel. I think we, the pretentious millennials, are saying “extra” these days. By the way, you know you’re an annex Cult Leader at Jeff and Megan’s, right? We just need to get you some crystals and you’re set. I relayed the message to Megs and she laughed out loud and said "we need to start saving small bottles for the tonic to sell"
She also said most sales meetings happen near the animal pens anyway! Looking forward to you coming back with a running bus and we love the name you have bestowed on us! we are currently under review for Colin's 2019-2020 winter stayover (the other house as he likes solitude) and hopefully passed my first interview a week or so ago when I visited him in Pensacola. we love the name you have bestowed on us! "... 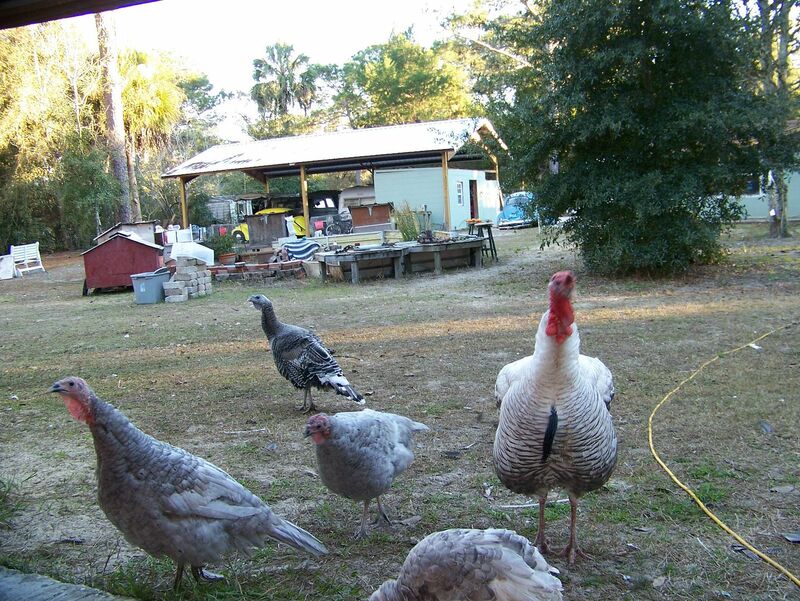 I am embarrassed and grateful at how accommodating the Florida Flapping Fowl Farm has been"